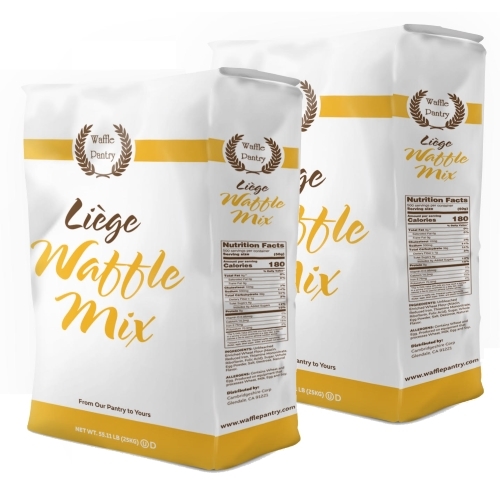 Bake Liege waffles with ease and simplify the process with Waffle Pantry's Liege Waffle Mix. 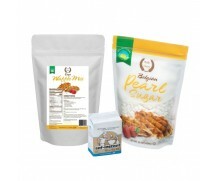 Painstakingly developed to match the taste of our highly regarded and authentic Belgian Liege waffle recipe, this waffle mix is made with quality ingredients and Waffle Pantry-brand pearl sugar. Wholesale pricing is available so add delicious Liege waffles to your menu today! For more product information, visit our blog for full details about our Liege Waffle Mix. Contains milk, wheat, and egg. Produced on equipment that processes soy.